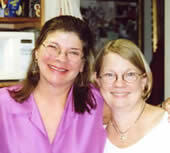 Owners Alice Crayton or Nancy Bercaw will be happy to assist you with any questions or comments. Click here to join our mailing list and receive updates of our upcoming shows! From Philadelphia - Take I-95 South to Wilmington. Exit on Rt. 52 North. Stay in left lane (also called Pennsylvania Ave. which becomes Kennett Pike after a few miles). Travel about 3 miles. Pass Rt. 141 Exit. Go through 2 lights. We are the 2nd turn on the left, just before the railroad tracks. From Points West - Rt. 1 to Rt. 52 South. Go about 8 miles through Centreville and into Greenville. Proceed through 2 lights. 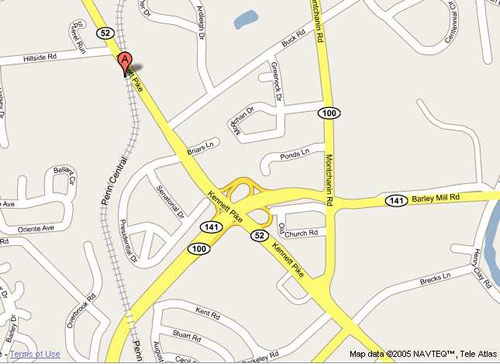 Cross over railroad tracks and immediately turn right into our parking lot. From Points South - Take I-95 North to Rt. 141 North. Follow 141 North to Rt. 52 North. Go through 2 lights. We are the 2nd turn on the left, just before the railroad tracks.